So it seems that things have really been in the toilet today. GG was out early covering the big, breaking news down at the Fawnskin Post Office but despite my best efforts to get online early to “report” on such matters, it is only now that I am getting around to doing so. If you haven’t heard about it yet, the Fawnskin Post Office flooded last night. A savvy Fawnskin resident, still yet to be identified, made sure to alert Fire Station 96 and our local firemen turned off the water thus preventing additional damages. Early this am, our own Fawnskin PMR (Post Master Relief) was on the scene and he promptly reported home to get his shop vac to help remove the water from the lobby. Now, much to our surprise, the Postal Inspector called Snoop Sister Deb about the flooding. Little did they know she is an aspiring cub reporter here for the Fawnskin Flyer…which is how I got the initial heads up when I innocently stopped by for coffee. Imagine my excitement over the fact that there was news to be had at the same time! Deb actually had a day off but they figured she was the one to call…you know, she is so reliable and all. However, it is comforting that they did call Post Master Mike after all–guess they were confused about just who is who in Fawnskin these days. Anyway, there were no pipe breaks, instead it was simply a malfunction of the flotation shut off device on the toilet tank. It failed to stop the tank fill–so it overflowed. Good thing things were clean. Now the truth of the matter is that GG thinks this was simply a ploy to give her something to write about since things have been super quiet and calm around these parts. But imagine my surprise, when on the other side of the lake, I discovered that some locals have renamed the pipeline crew that did some work up on Forest Road last fall as the “Arizona Poopline” crew. It seems that they took out part of the sewer line with a backhoe doing some construction work. Visitors made the discovery in the cabin shortly after they arrived for the holidays. Fortunately for some, things have been taken care of–but GG thinks it is odd that so many things are in the toilet this week. Could it be that there are too many people full-of-sh** around these parts? Stay tuned since this could be a new theme along the lines of the infamous Toilet T-issue from the early days of the Fawnskin Flyer. 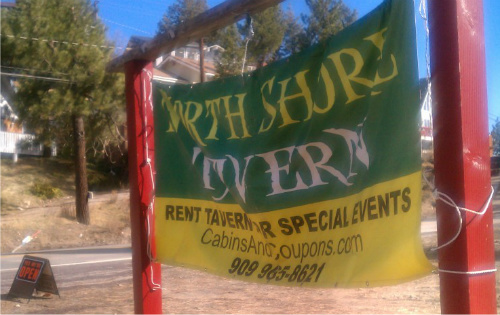 Now, completely off topic and in a new direction, yes–it is true that the North Shore Tavern was open last weekend. So, GG stopped by to get the scoop. The NS Tavern will be open Friday through Sundays from 11am until close Friday/Saturday and from 10am until close on Sundays. Sadly, that is it for now but I will be back again on Tuesday! 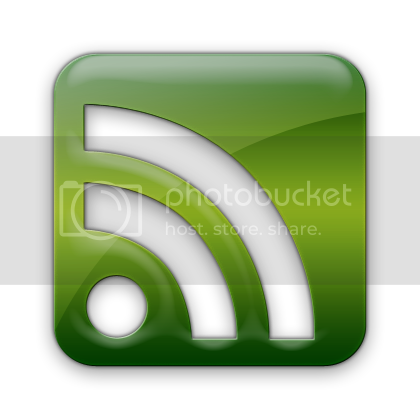 This entry was posted on Thursday, January 26th, 2012 and is filed under Talk of the Town. The postal inspector told me that the fire dept. actually turned the water off. Don’t know who first discovered the leak tho. We don’t know who told them yet but thanks for the update. hello gg a short note…the first lesson of economics is scarcity there is never enough of anything to fully satisfy all of those who want it. as per water or gas, later jack. lookin west for spring. thanks again. 🙂 Hey Jay, thanks for taking the time to chime in.